As it is known each material has specific properties and steel would react in very cold weather conditions and expand in heat. 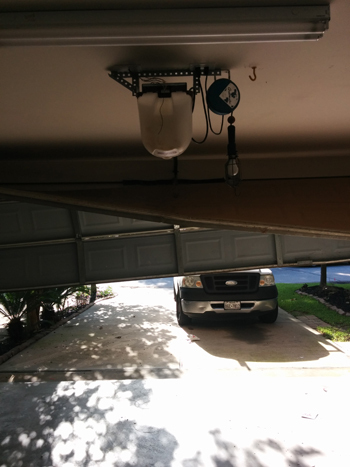 If you consider that most garage door parts are made of steel, you can understand the significance of their maintenance in the between seasons. Of course, steel used for the manufacturing of garage doors is elaborated and different kinds of iron have slightly different reactions to extreme temperatures. Though, try to remember when your garage system becomes noisier and it will soon come to mind that it's during the warmest or coldest seasons. Undoubtedly, lubrication maintenance is the best method to protect components. It's important to lubricate the springs, rollers, tracks, wheels and all moving parts with special sprays but it's also wise to take a look of the instructions given in the manual. The manufacturer may suggest that some parts do not require lubrication. Don't forget that the quality of the lubricant will play a significant role to the good movement of the parts. It's also important to remember that although you only need to spray a couple of drops in each component, the lubricant must spread throughout the garage door track, for example. Otherwise, some sections of the components will be well-lubricated and others won't be lubricated at all. Before you lubricate them make sure the door is closed and the parts are clean from old oils and dirt. Lubricating filthy components or using bad quality products will attract more dirt, especially during the summer. Your goal is to clean them well, so that you can see the metal part and not the dark grime. Don't forget to spray lubricants on the pins and in the seams of the garage door hinges, too. Lubrication with the right products will not only protect the parts from the extreme temperatures but it will allow them to last longer, avoid erosion and move better.